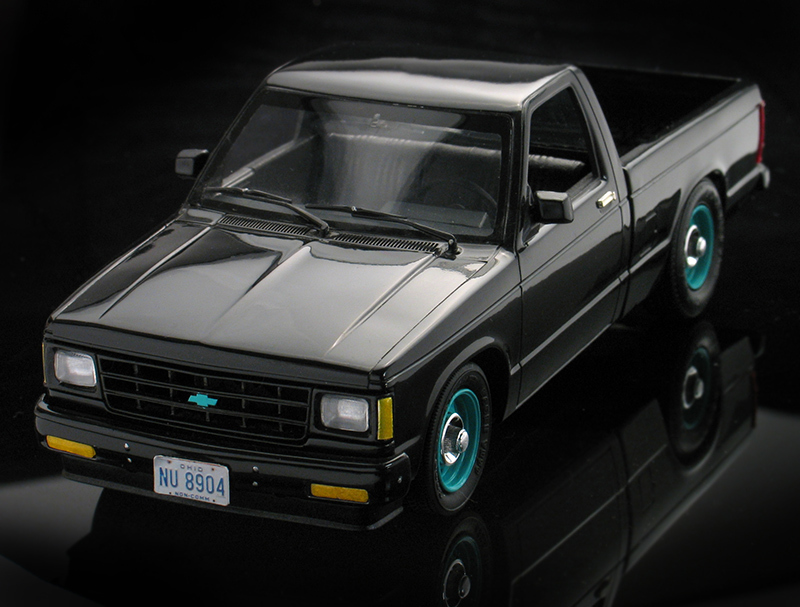 While I had the truck, I did a little customizing to it including: lowering it 4 inches, adding big and little Corvette Ralley wheels (painted in a trendy '80's shade of aqua) and I painted out all the trim in black. 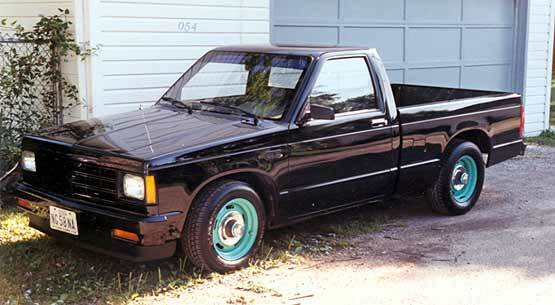 The little S-10 served me well for 12 years and never left me stranded. Since it was a part of my live for such a long time, I thought it deserved to be replicated in scale and added to my model collection. 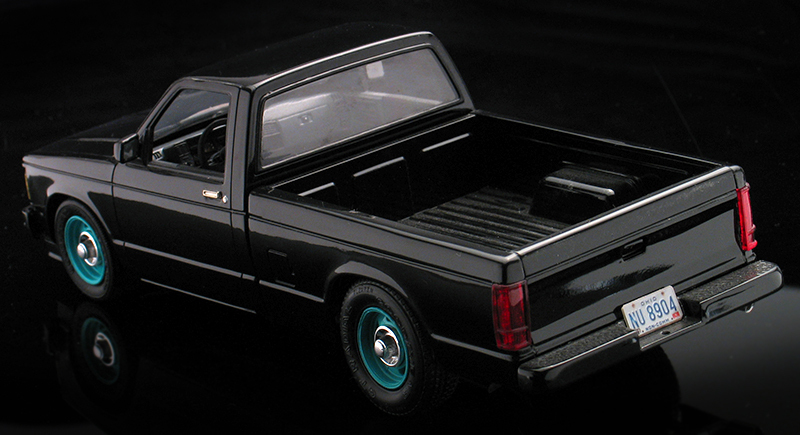 No model kit ever existed of the '86 S-10, so I built mine using parts from Monogram's GMC Syclone Pickup and one of their '91 S-10 kits. 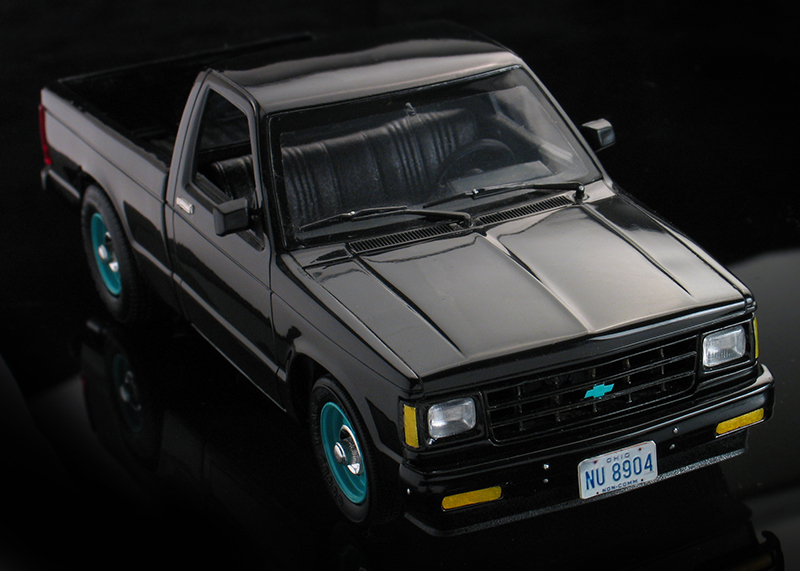 The older style S-10 grill is a resin piece I bought from Perry's Resin. I also removed the extra rubber trim from the kit's front bumper and added bumper bolts to represent the base model style bumper my truck had. The ralley wheels are from a AMT '69 Chevelle kit, but were turned on a lathe to look like the trim rings have been removed. That same Chevelle kit's back seat was modified to look like the bench seat I had. The rear step bumper was taken from an old MPC Dodge pickup and modified to match my real one. The license plates were made by photographing my real plates at a distance to reduce them to scale. 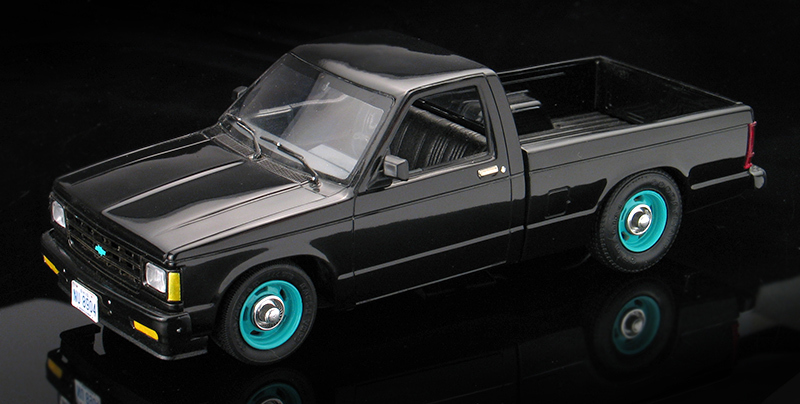 My real truck has passed on, but the model helps keep it alive in my memories. At the bottom is a picture of the real truck.